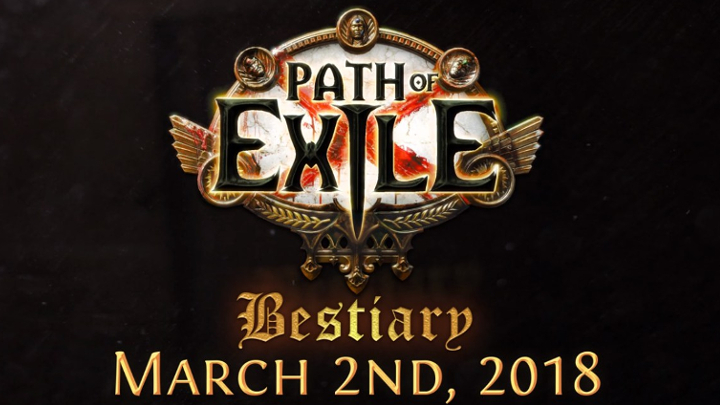 The highly successful F2P RPG action path Path of Exile continues in March with the update 3.2.0 (Bestiary), which sends players on a monster hunt. In the Bestiary Challenge League, the player learns how to catch the beasts, keep them in the Menagerie, or sacrifice them to gain powerful Path of Exile items. The fantasy action role-playing game Path of Exile by indie developer Grinding Gear Games has been causing quite a stir since 2013. On average, the Free2Play game gets ratings around 90 percent. Path of Exile is easy to install and start on Steam and is regularly supplied with new content. Currently, ten chapters can be played alone or in a co-op (PvP is also possible), and on March 2nd it will continue with the Bestiary 3.2.0 update. In the Bestiary Challenge League, hunter and scavenger Einhar Frey teaches the players how to catch beasts and trap them in the Menagerie. Those who are good at it are even able to catch legendary beasts – but these are not only rare but also unpredictable. Advances in catching the beasts are recorded in the Bestiary, a comprehensive book that classifies and describes the existence of wildlife in Wraeclast. Captured beasts can be sacrificed on the Blood Altar to create and modify powerful items using special recipes. The Beastcraft also opens a portal into the Spirit Lands to kill one of four different Spirit Beasts, rewarded with unique items and new customization options. In addition to the beasts, there is also an endgame fight against the Uber Elders. In addition, each of the 19 Ascendancy classes will be revised to ensure an equivalent level of performance. Many of the ascendancy classes have been updated with new mechanics that allow for new builds. In addition, Content Update 3.2.0 adds three new gems (the ‘Spectral Shield Throw’ and ‘Tectonic Strike’ skill gems, as well as the new support gem ‘Summon Phantasm on Kill’), 30 new unique Fated Unique Items from soothsayer Navali, a new quest in Act 10, 29 new unique items, 10 new Divination Cards and many more changes. There will also be two new supporter packs, the Harpy and Manticore Supporter Packs. Both packs also offer an upgrade option with other benefits. The packs include exclusive armor sets, pets, weapon effects, social frames, forum titles, and more. The basic packs cost 25 euros, the revaluations 50 euros.